Good morning nail polish addicts! Here’s a treat for you all.. Swatches for the OPI Venice Collection for Fall 2015! I absolutely loved last years fall Collection, the Nordic Collection, and I have to say.. the new collection is probably even better! The first swatch is one of the limited edition polishes: ’St Mark’s the Spot’. As I’ve mentioned before, I’m not really a fan of metallics but this color… WOW! 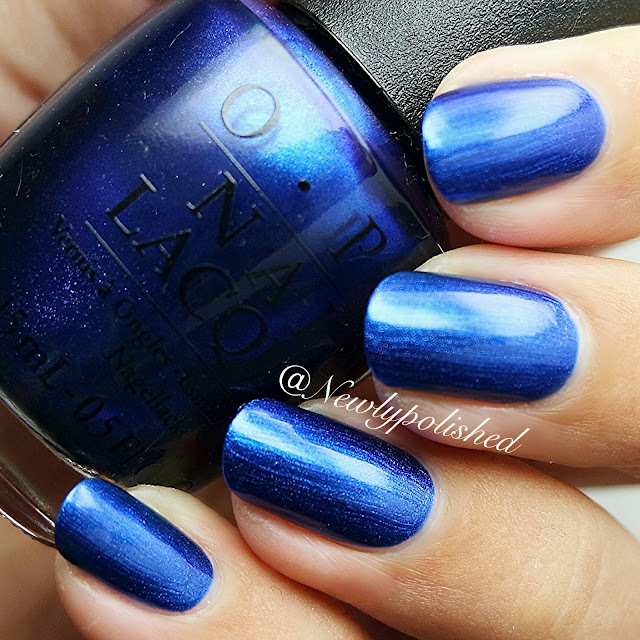 I have a new soft spot for blues and this one doesn’t disappoint. It’s looks a little bit streaky on picture but it’s amazing in real life. Two coats for full coverage! This is ’Be there in a Prosecco’. 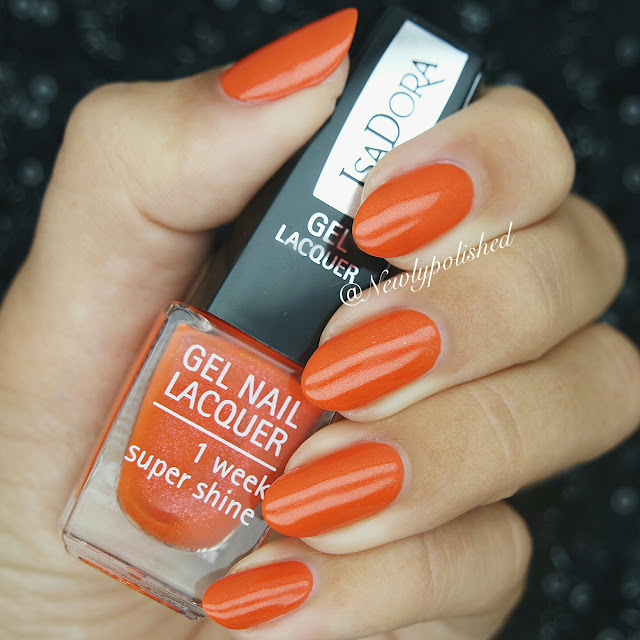 The formula is nice and creamy and opaque in two coats. It’s a bit like ’My Vampire Is Buff’ but a not with the yellow undertone. A must buy if you don’t own MVIB! ’Worth a Pretty Penne’ is a mix of rose and silver metallic sparkles. The color is very unique but applies a little streaky unfortunately. Two coats for full coverage. 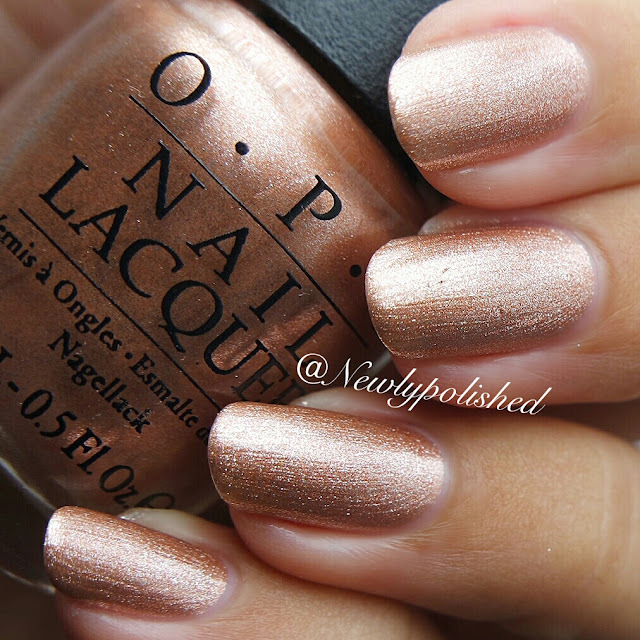 I absolutely love OPI’s polishes but I’m afraid I can’t say that when it comes to ’Baroque… but still shopping!’. I love the square glitters but it doesn’t work with the metallic base. As you can see it applies streaky as well. Two coats for full coverage. This is one of my favorites: ’Gelato on my mind’! 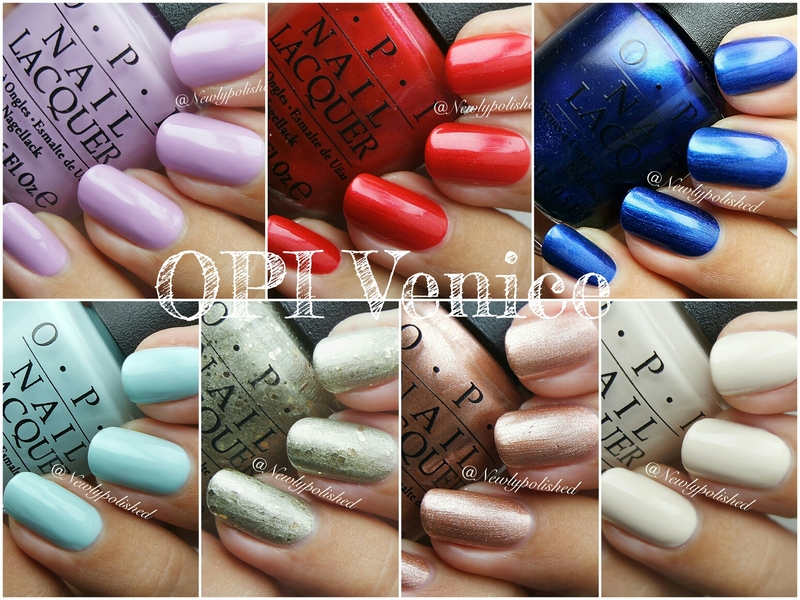 Finallyyyyy, OPI release a light blue with great coverage (opaque in two coats)! I don’t know what else to say.. I think the color speaks for itself! YUM! ’Purple Palazzo pants’ is a lovely lilac! I think this color is great but I think it could’ve been a bit lighter. Anyways, great formula and opaque in two coats! Last, but not least, is ’Gimme a Lido Kiss’! This is a bright red with some sparkly shimmer in it. I like that is has shimmer and isn’t a metallic and the formula is nice but almost a bit runny. Two coats for full coverage! I hope you’ve enjoyed the swatches. And if you ask me, ’Be there in a Prosecco’ and ’Gelato on my mind’ are colors we all need in our nail polish stash. But if we want a gorgeous, slightly different color that really stands out, ’St Mark’s the spot’ is the way to go! 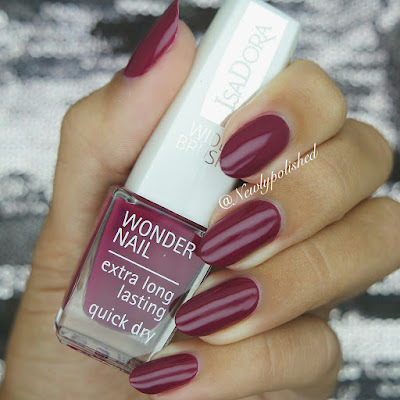 Today I want to share my swatches and some nail art using IsaDora’s new gel lacquer collection for A/W 2015. The collection is a quite wide mix of colors, some that are perfect for fall and some colors that I feel that I would have liked to see in a summer or spring line. First up is ’Lovely Lilac’! I think the color is really pretty but I don’t think I will be wearing during autumn and winter. It applies evenly and you have full coverage with two easy coats! I added some simple leopard print to ’Lovely Lilac’ using ’Dark Romance’ and ’Diamond Crush’ (both from IsaDora). 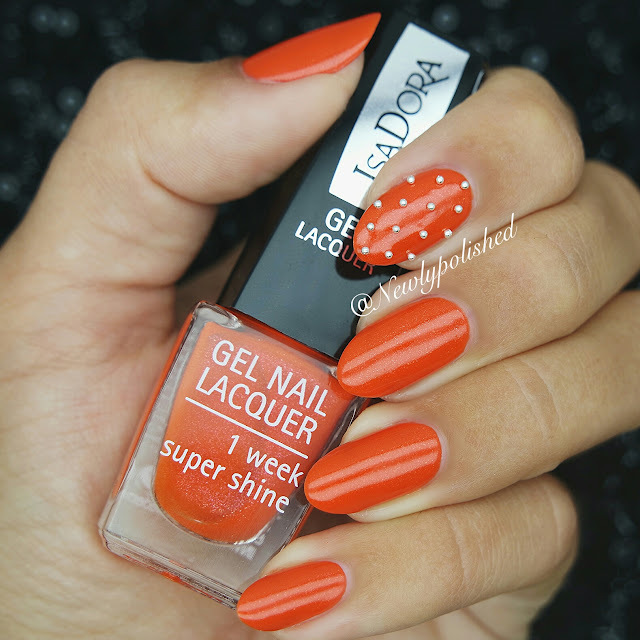 This is ’Hot Chili’ – a bright orange color with shimmer. The color is really special but I feel that it doesn’t go well with my skin tone. So, not a color I would wear every day but I will definitely be doing some fun nail art with this for Halloween! Two coats for full coverage. This is also a really simple way to spice up a mani! I bought the beads off of eBay and I place them using a rhinestone pen (also from eBay). 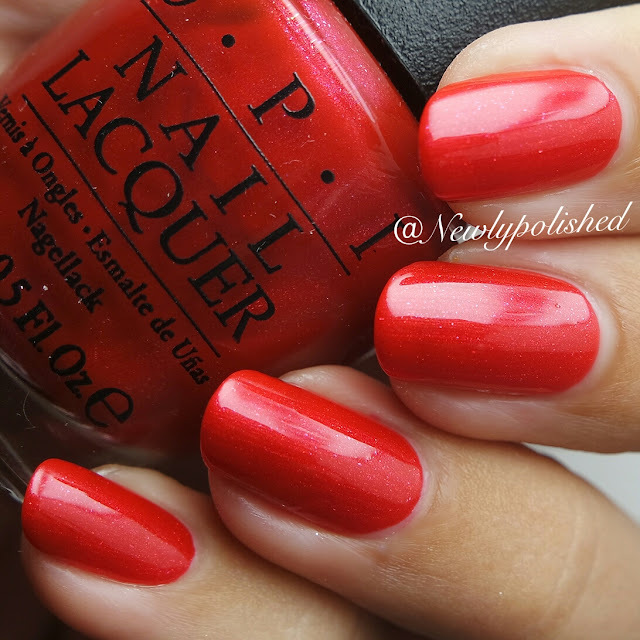 The last swatch I have to share with you guys is this beauty – ’Berry Baroque’! I really love, love, love this color! The shine is incredible even without top coat. Two easy coats for full coverage. For ’Berry Baroque’ I painted a white lace accent nail. You need a dotting tool and a thin brush.. and some imagination and then you’re good to go! Time for a new season and also the re-launch of our blog! I have swatched the colors for IsaDora’s Rock and Romance Collection for A/W 2015. ’Dark Romance’ is a dark, dark brownish red creme polish. The formula is great and you get perfect coverage with two coats. Last, but not least, ’Urban Green’! This is a metallic forest green﻿. It applies a little bit streaky but I can’t help it.. I really like this color! I don’t own a polish like this (and that’s saying a lot). Two coats for full coverage.